Get your logo seen on these stylish bags in your choice of 3 colours. We guarantee these totes will float your boat. 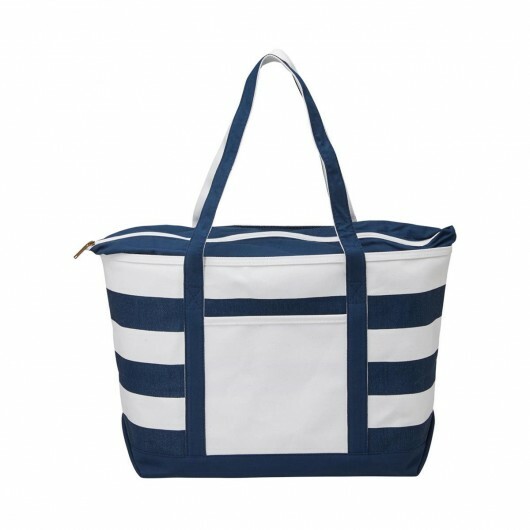 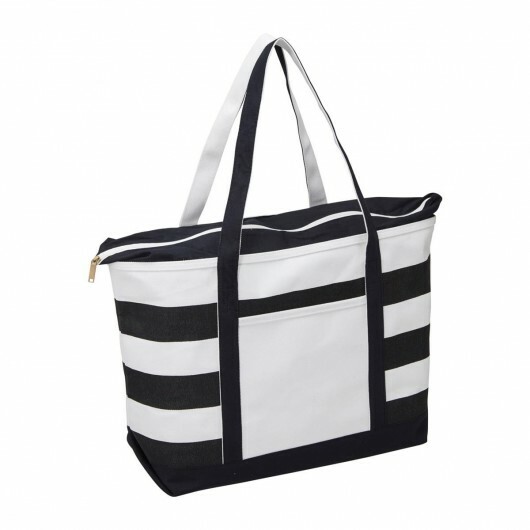 With nautical themed stripes they're both eye-catching and practical. 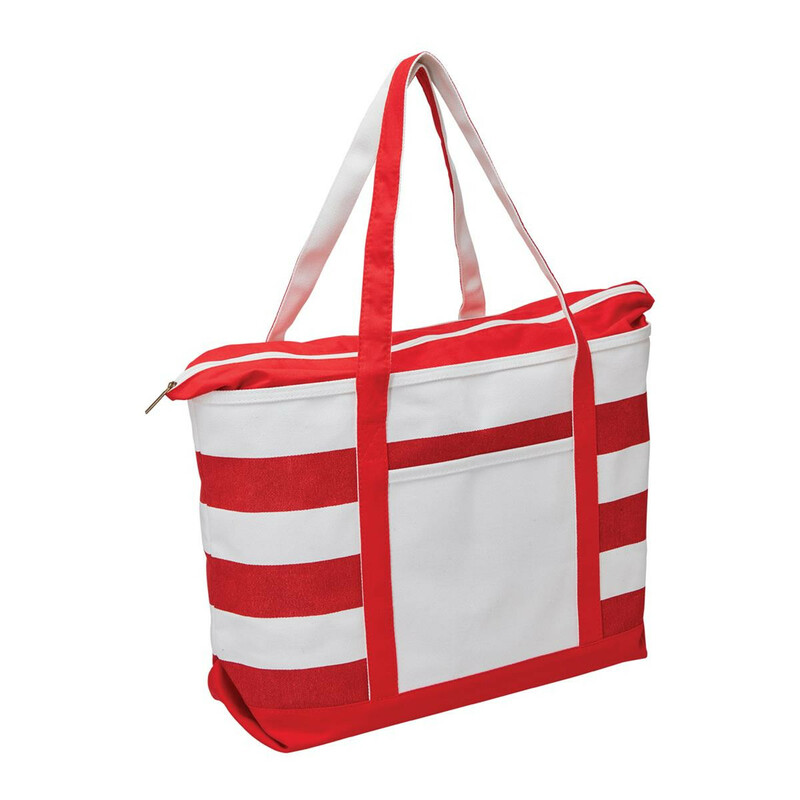 Made from premium 18 oz canvas the bags are durable and provide longer lasting impressions. 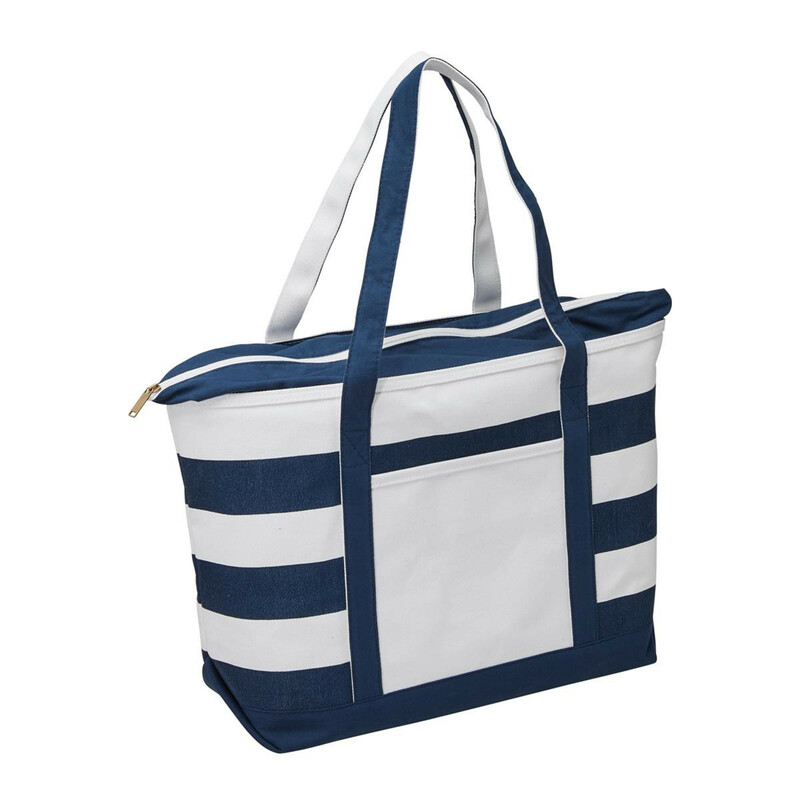 Other features include: cotton shoulder straps, a brass zip puller and a zippered main compartment that provides a large storing capacity. 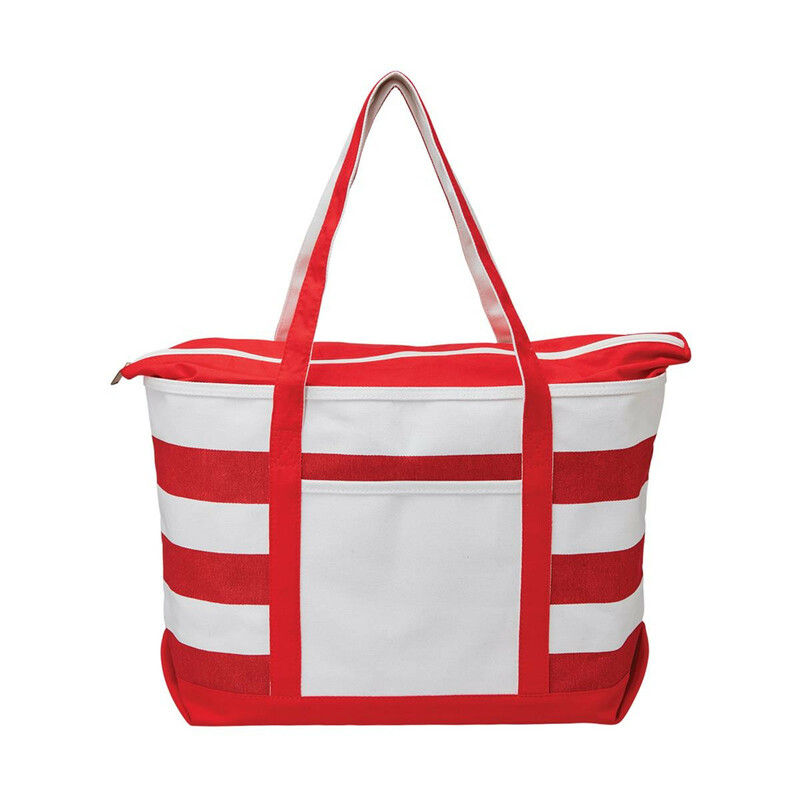 Decoration Area Embroidery/Supasub/Supaetch: 120mm Dia.